On Sunday, I was lucky to find COATT while walking around the Dwell on Design show floor. 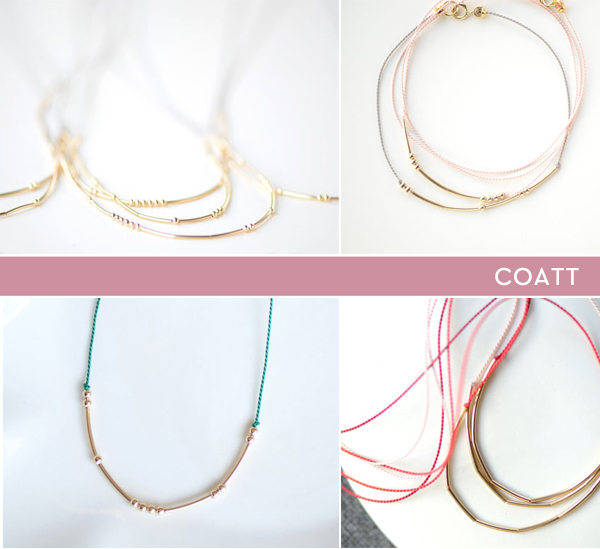 I was drawn to the colorful necklaces and found out they are names, words and phrases in morse code. Cool, right? I'm going to order one for my mom with her name on it.